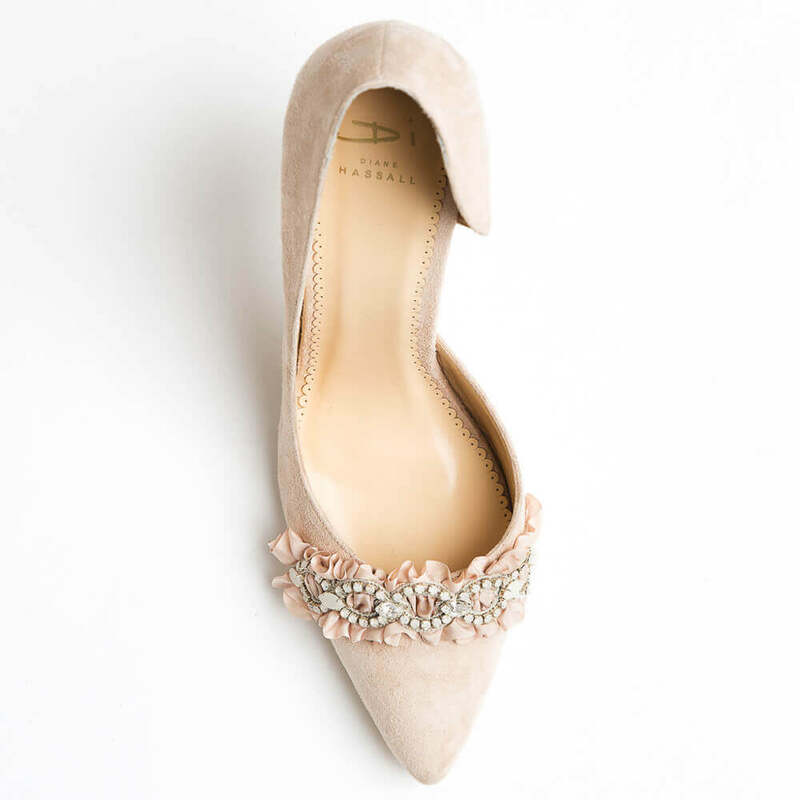 Chic and elegant this hand crafted dusty rose suede court shoe is open waisted on the inside, sleek styling is softened by hand dyed ruffled silk ribbon and a frosted diamante embellishment across the toes. 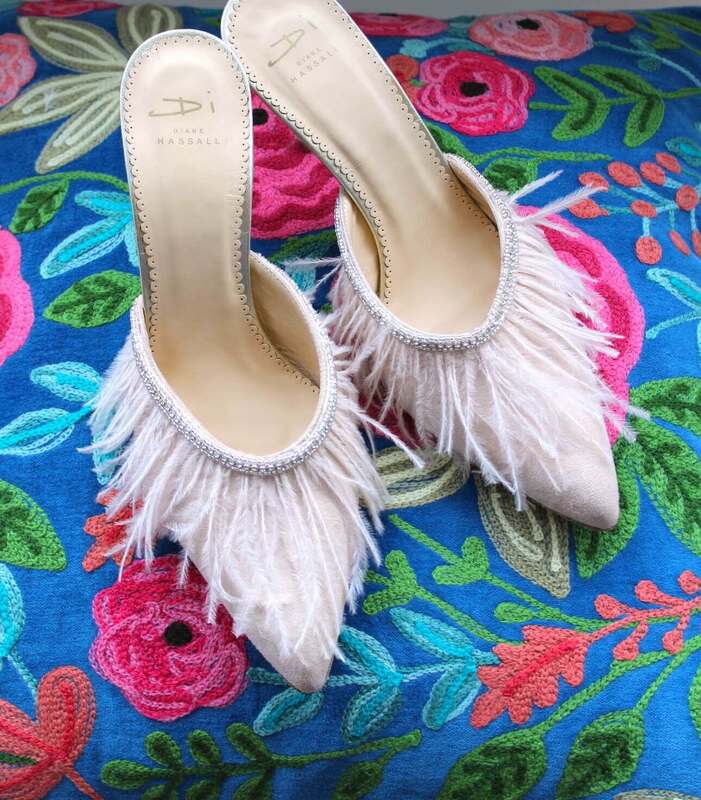 A perfect choice for brides, mother of the bride and guests! 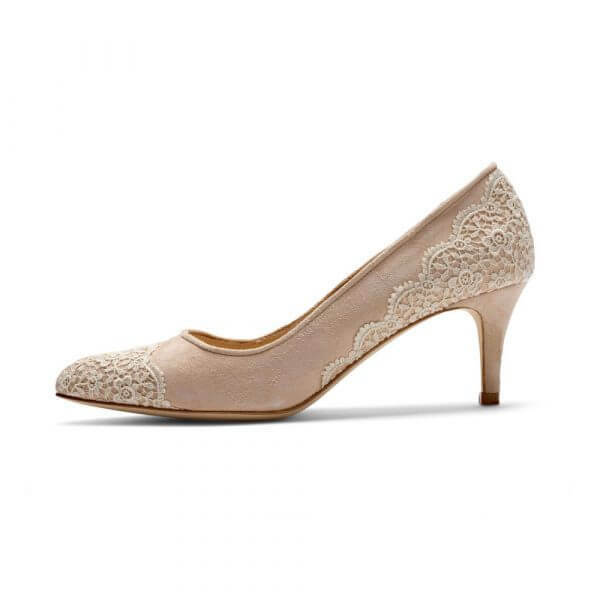 Heel height 10cm, toe shape – soft point.